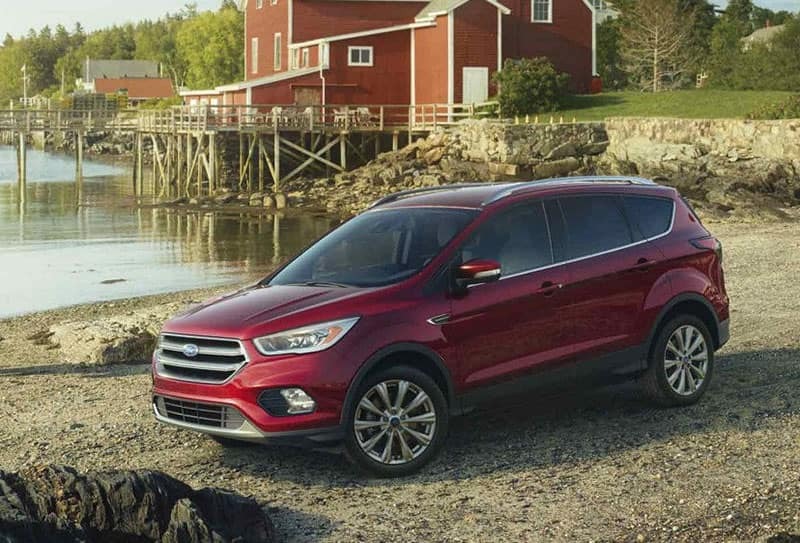 Plan your getaway today in a new Ford Escape, for sale in Glenwood Springs, CO at Glenwood Springs Ford. A powerfully efficient engine, innovative amenities, and stylish looks are just a few of its many highlights. Smarter than ever and with available safety features that can help you avoid accidents, the Escape is giving drivers new expectations of SUVs. This available package includes sport seats, black-out trim, and a leather-trimmed steering wheel and shift lever. The available Sync 3 system allows you to have conveniences such as Siri Eyes Free, voice command, and optional navigation. The available FordPass app can help you find parking, schedule vehicle maintenance, and start your vehicle remotely. This feature on EcoBoost engines can help you conserve fuel during city driving. If you are searching for a new Ford Escape for sale in Glenwood Springs, look no further than Glenwood Springs Ford. We have a vast array of Escape models in a variety of different trims, so there really is something for everyone. Contact us today for more information.